When Margaret Hubl passed away at 89 years old, her family wanted to honor her memory in the best way they knew how: in quilts. Margaret’s passion was making quilts for her friends and family. She quilted as long as she could and her family saved all of the gorgeous quilts she had made for them. Margaret had three children and took care of her sister-in-law’s two children when they were left without parents. Margaret and her husband Henry took care of the five children and had many grandchildren as they aged. She first started sewing out of necessity, to make clothes for her five children. However, over the years, she realized how much she loved sewing and making quilts. She often gave her grandchildren quilts when they went away to school or as wedding gifts. After Margaret passed, one family member had the idea to display all of the quilts they could gather up at her funeral. It was a special way to honor such a sweet lady. As they gathered quilts, they realized that there was almost one quilt per pew! 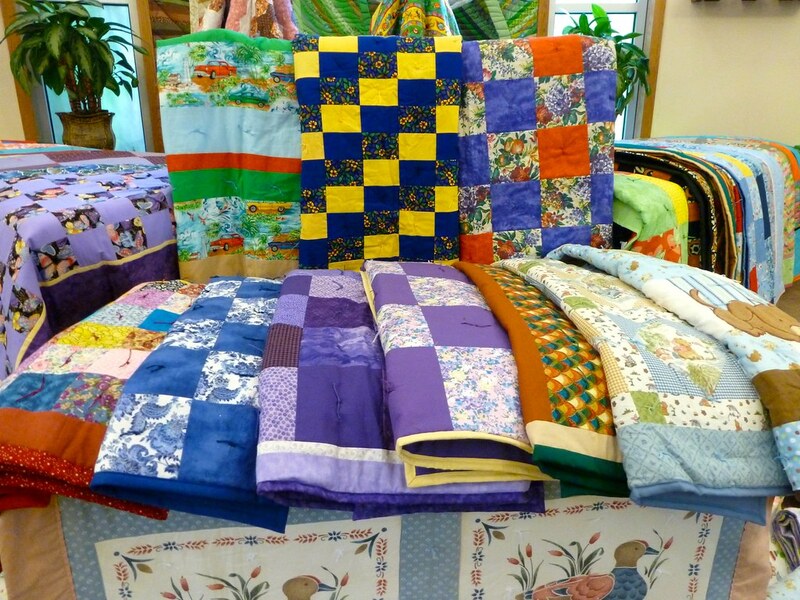 It was a surprise to the family how many quilts Margaret actually made in her lifetime! She actually kept track. One family member found a notebook where Margarate wrote down every single quilt she made and who she gave it away to. What a special memory. They also found some quilts that had never been seen by anyone but Margaret. She had intended on giving them away as wedding gifts one day but sadly didn’t get the chance. Some of the cousins who were not yet married got to see their quilts for the first time at the funeral. That had to be a bittersweet moment for them! What do you think about this family displaying their grandmother’s quilts at her funeral? It is a special way to honor her as they mourn her passing. It looks like everyone in the family has a quilt to keep close by when they miss her. Does anyone quilt in your family? Do you have any special quilts that have been passed down? If you enjoyed this article, please SHARE with your friends and family who will love this story or who love quilting! Step into the world of the old fashioned quilting bee: Click “Next Page” below!